The Greater Prudhoe Area is made up of the Prudhoe Bay Field, the Prudhoe Bay satellite fields and the Greater Point McIntyre Area fields. After more than 40 years of production, Prudhoe Bay remains the largest oil field in North America and ranks among the 20 largest fields ever discovered worldwide. When production started at the Prudhoe Bay field, the recovery factor for the 25 billion barrels of oil in place was expected to reach 40 percent. Today, using new technologies, we have increased that estimate to more than 60 percent. ConocoPhillips owns 36.1 percent of the Prudhoe Bay Unit and 29 percent of the trans-Alaska pipeline, which transports North Slope oil to Valdez for delivery, mostly to West Coast markets. The Prudhoe Bay Field has more than 800 active oil-producing wells. Drilling is expected to continue for many years. Prudhoe Bay also is the site of one of the largest waterflood and enhanced oil recovery projects in the world, as well as a large gas processing plant that processes more than 7 billion cubic feet per day (BCFD) of natural gas before reinjection into the reservoir. Prudhoe Bay contains potential gross reserves of approximately 25 trillion cubic feet of natural gas. 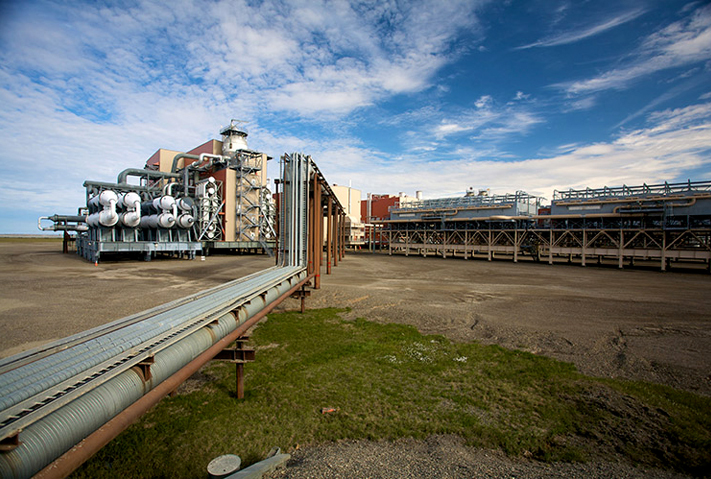 The State of Alaska is pursuing commercialization of the natural gas resource at Prudhoe Bay. ConocoPhillips supports the State’s effort and has stated it will make its gas available to the project via a well head sales agreement.